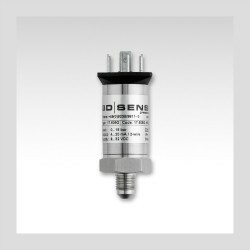 All welded OEM pressure transmitter for use on refrigeration application with R22 and R410A refrigerant up to 400 psig. Please complete form below to request a quote for R22 and R410A refrigerant compatible 400 psi g pressure transmitter. Send us your enquiry for R22 and R410A refrigerant compatible 400 psi g pressure transmitter to get assistance with this product type.